Technology is supposed to make our lives easier. However, in the case of the technology becoming standard in our vehicles, it's putting our lives in jeopardy and increasing our risk of a car accident in Atlanta and across the country. That's the message being forwarded by advocates at the National Highway Traffic Safety Association, which is urging vehicle manufacturers to put special controls on dashboard technology in an effort to curb driver distractions. It used to be drivers could be distracted by turning the radio dials. Our Atlanta car accident attorneys know it is no longer this simple. -Social media sites, such as Facebook and Twitter. A map is one thing - and there are mixed theories on how to approach this issue. However, there is almost never a matter so pressing that one would need to take his or her eyes off the road to scroll a Facebook page or update a Twitter account. The NHTSA is asking auto manufacturers to make it so that these technologies can't be accessed while the vehicle is moving. Or if it is going to allow certain technologies, make it so that they are designed only for passenger use and accessibility. NHTSA spokesman David Strickland has been quoted in numerous media outlets on the issue as saying this compromise could mean that consumers will still have all the fancy features they are looking for in a higher-end, luxury vehicle, without having to sacrifice safety or put drivers at higher risk of an Atlanta car accident. On the other hand, Gloria Bergquist, who is a spokeswoman for the Alliance of Automobile Manufacturers, says the recommendations go a bit too far. She insists that the technologies these carmakers provide allow drivers to be safer in doing things they were already doing before. She said regardless of how manufacturers respond to the government's request, drivers are going to talk to others, get directions and listen to music while they're on the road. Shutting off all these features while the car is moving might actually be more dangerous, she said. For example, in the case of GPS, the NHTSA has recommended that these in-car digital maps could run while the vehicle is in motion, but the driver would have to put the car in park if he or she wanted to type in a new destination address. The problem that Bergquist sees, however, is that for one thing, passengers could safely access a GPS device without jeopardizing anyone's safety. Secondly, if drivers weren't able to use their vehicle's GPS, they will likely either resort to bringing their own, handheld GPS or using maps. 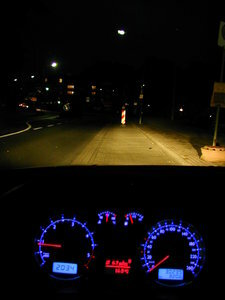 Neither of those options, she said, is safer, and in fact may pose a greater risk to the driver and others on the road. The solution lies perhaps in smarter design. Another of the NHTSA's recommendation is to create technological dashboard devices that would only require one or two seconds of driver attention to operate. These would be designed so motorists can use just one hand and wouldn't have to give more than a quick glance to complete the task. If you or a family member has been injured in an Atlanta car accident, contact the North Georgia Personal Injury Attorneys at The Law Office of Casey W. Stevens. Call 877-217-7230 for a free case evaluation. Representing clients in Atlanta, Alpharetta, Woodstock and all of North Georgia.